"God doesn't send us to Hell; we send ourselves there." Let's take a close look at the above assertion. First of all, there's an implicit assumption that an individual will have an actual choice to go to either the Nice Place or the Not-So-Nice place, somehow overriding the Divine Will of the omnipotent and omniscient Biblegod. This flies in the face of at least one variant of Christianity, Calvinism, which asserts that Biblegod has already picked out the "saved" and discarded everyone else. Secondly, it is also assumed that Biblegod will not only know about this person's "choice" but knew about it in advance, and permits it to happen anyway. The usual excuse given for this is that Biblegod does not want to impose upon our free will. I present the analogy of the Parent and the Unattended Stove. A small child toddles into the kitchen. In that kitchen is a stove with all the burners turned to 'High', and a ladder conveniently located right next to the stove. The child climbs the ladder, and falls off it onto the blazing stove. Oh, and did I mention that the Parent is standing just footsteps away, washing dishes in the sink? What kind of parent would go to the stove, turn all the burners on, put a ladder beside the stove, watch their own child climb that ladder, allow the child to fall onto the stove, and then just stand there for eternity and let the child scream? The "free will" argument is a red herring, and a convenient excuse for not confronting the immorality of Biblegod. Any parent worthy of the name would rescue the child at the first possible opportunity, without even considering the child's "free will." Better yet, a conscientious parent would childproof the kitchen to prevent such catastrophes from happening in the first place -- And again, "free will" has nothing to do with it. It's just good parenting. You do not do your god honour with this kind of argument, by the way. It makes your invisible friend look like a maniac, and it makes you look like a thoughtless dolt. Please give serious consideration to the above, and stop making excuses for the inexcusable. 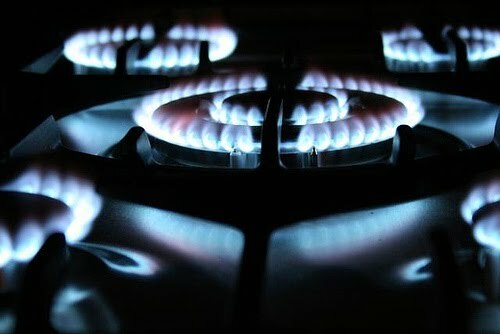 ExChristian.Net: Hell is an Unattended Stove?